You do not have an e-mail address. Alert has been created successfully but you will not receive notifications until valid e-mail or mobile address has been provided in your profile. Alert has been created successfully SharePoint Online. If you are working in the on-premise environment then you can go to the Active Directory Users and Computers and then you can select the particular user and add an email address to it. Then next time when the user profile synchronization happens then the email address should appear and the above error will not appear. If you are using SharePoint Online, then here also user needs to update the work email address. 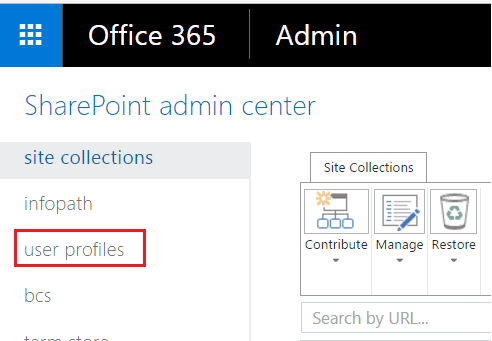 First login as a global administrator and login to SharePoint admin center. Then from the left side click on user profiles. Then click Manage User Properties which is under the People section. Then under Contact Information, select Work email and click on edit. After that user can change the email id from the Deleve profile. Click on About me -> Then in the Delve profile page click on Edit Profile. After this, the error should not come.